Nan's Gourmet Foods - Buy Gifts & Goodies for the Grill! Make your two choices here. 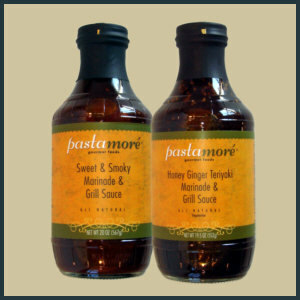 Select one grill sauce from each of the two 'drop down' menus & then click "Add to Cart". We will do all the rest! You selections will be carefully packaged. If this is a gift, please let us know what to put on the personalized card at checkout time.